Here’s the difference between book smarts and street smarts. Book smarts is designing and constructing a robot with GPS tracking, human-to-android voice communication, and a jaunty red LED face. Street smarts is knowing that releasing such a device, unchaperoned, literally by the side of the freaking road, is the prelude to a robot funeral. It gives me no joy to say so, but it’s true. And so it was with hitchBOT. The brainchild of Canadian scientists, academics, and visual artists, hitchBOT was last seen, whole and fully operational, in the Old City neighborhood of Philadelphia, on the evening of August 1, a mere two weeks into its journey. Its lifeless white bucket-chassis was later found lying on a pile of dead leaves, its blue foam arms torn off and placed daintily at its sides. HitchBOT’s head has not yet been found and is no longer sending GPS signals to its creators. Rest in pieces. Gird yourselves, ladies and gentlemen. Gruesome imagery of android mutilation follows. 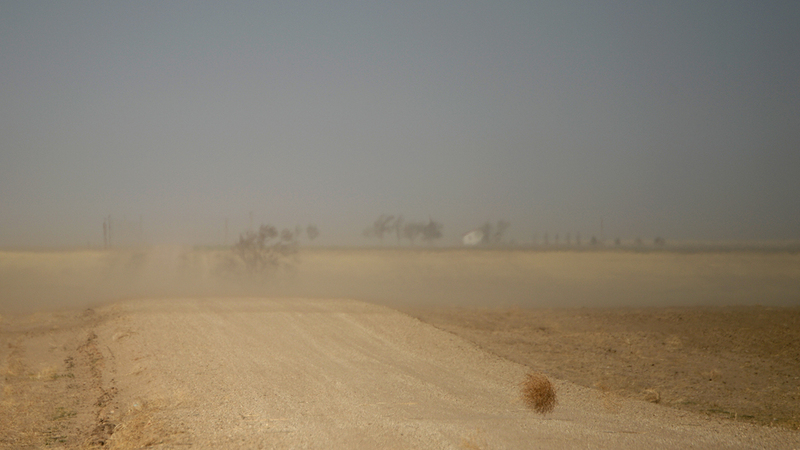 HitchBOT’s mission was quite simple: hitchhike around and spy on people. Outfitted with a tablet computer brain, the droid was programmed to take pictures of its surroundings every 20 minutes, and it had a microphone that allowed it to listen to and respond to queries from human beings. Two of the requests hitchBOT would make of people were safe passage and access to the cigarette lighter port in order to charge its batteries. Last summer, hitchBOT successfully traversed Canada, from Halifax in the east to Victoria, British Columbia, in the west, a journey of over 6,000 miles. It completed the jaunt in under four weeks with 19 individuals. Last winter, hitchBOT spent 10 days bumming around Germany before returning home safe and sound. 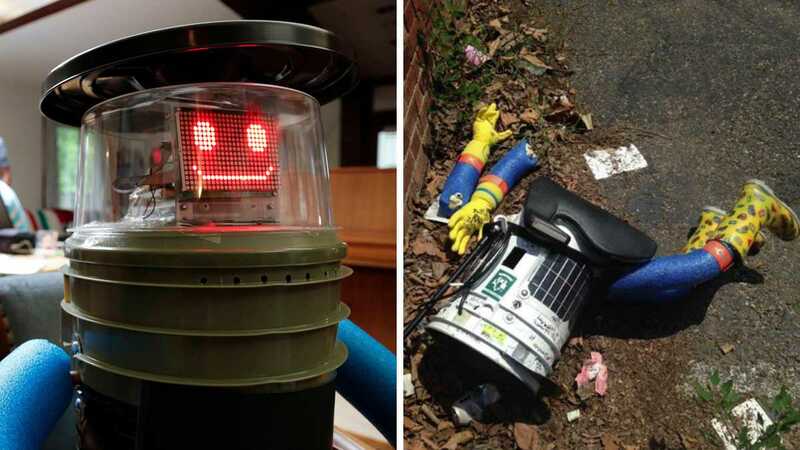 Now, of course, because hitchBOT’s Canadian and European trips were successes, accomplished with minimal wear and tear to the robot’s circuitry and body, and its American sojourn resulted in untimely (though totally predictable) destruction in, of all places, Philadelphia, there are recriminations. Screw that noise. HitchBOT had to die. Why? Because hitchBOT was a spy-droid who came to America to steal our jobs. [H]itchBOT’s physical appearance was designed to instill trust, and to make people want to engage and connect. Most importantly, the robot was approximately the size of a 6-year-old child, appealing to human behaviors associated with empathy and care. Its overall design, with a plastic bucket for a body, pool noodle arms and legs, and matching rubber gloves and boots was meant to be quirky and fun. The low-tech look of it was intended to signal approachability rather than suggesting a complex high-end gadget. In other words, part of hitchBOT’s mission was to study how to create anthropomorphic robots that human beings can react to, empathically, so that when a person comes to work and finds a glorified garbage can with a Samsung Galaxy for a head at his or her desk, they don’t react by demolishing it and throwing it out the window. Or, at least, they feel badly after demolishing it. The other thing about hitchBOT getting decapitated? It’s hilarious. All over this great country, we have a long, proud history of kidnapping/mutilating various anthropomorphic structures. Like the Bob’s Big Boy (headline: “Dismembered ‘Big Boy’ Bob found at abandoned motel”), Ronald McDonald, Bob’s Big Boy again, and a guitar-playing frog. Don’t let the Facebook comments from the fainting couch and Philly’s (well-earned) reputation for irascibility get you twisted; approximately 96 percent of American teenagers and 60 percent of adults would have gleefully DDT’d this abomination just for the favs. The only surprise is that pictures of the act have yet to hit Instagram. Listen, robots are dope. I’m pro-robot. R2-D2 is awesome. Terminators are awesome. C-3PO is a nerd but also very useful. HitchBOT, on the other hand, was a freeloader who took pictures without you knowing, chugged car battery life, and reported your location to scientists in another country. It did so all while also looking like a pile of trash that someone left on a park bench. How this thing made it two weeks down here is a mystery. Let’s go with a resounding NO.